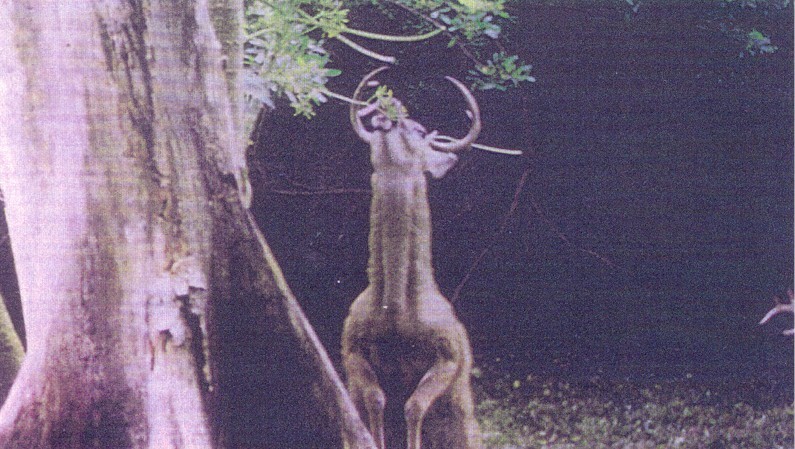 BUCK DEER FEEDS ON TREE - Doe and fawn will die before the buck deer. Note the buck deer is now standing and feeding on pepper tree. Note the dead fig tree in the foreground. EVERGLADES ALLIGATOR- This 7 ft Alligator was barely alive. At the present time they have no other vertebrates to feed on and there systems are full of toxic chemicals. The Everglades alligator weights 30% less than the Central and North Florida alligators. This Alligator was brought in for the state to do a tissue study to determine the cause of death. The state agency rejected the findings for political reasons. 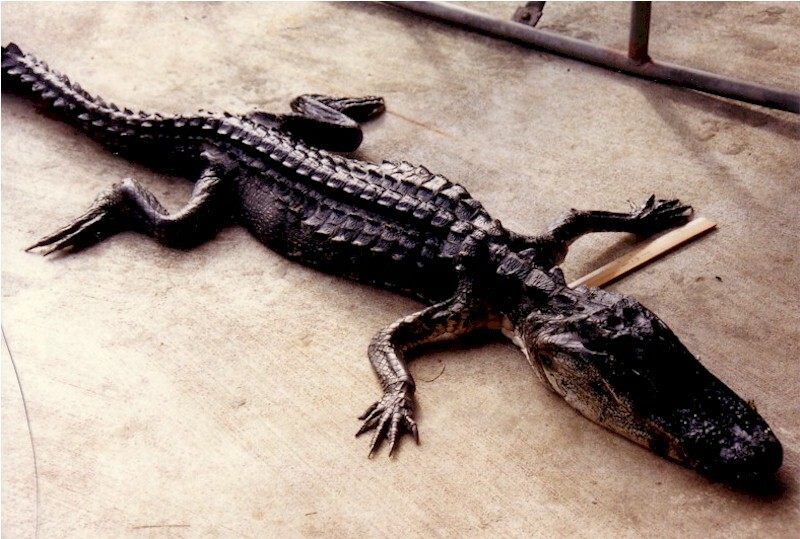 High water conditions have seriously affected the Everglades alligator.